An easy way to contribute money to Good Shepherd without costing you a dime, is to get involved in our Grocery Card Program. Good Shepherd gets money back for every dollar you spend with several area grocery stores. We have an on-line program with King Soopers, reloadable gift cards with Safeway, and regular gift cards with Sprouts and Tony’s Market. You can purchase gift cards and get assistance with King Soopers on-line program on Sunday mornings after each service. Sign up is easy, and the new program is much simpler. No longer will you need to purchase reloadable gift cards - all you need to do is link your loyalty card to Good Shepherd, and we will receive benefits for all of your King Soopers purchases. Specific instructions are in the sidebar to the right. We will also be available to help with account sign-ups and linking on Sunday mornings, for those of you who need assistance. 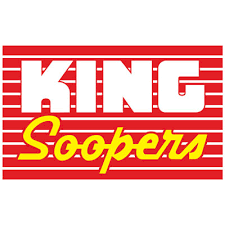 choice and shop with King Soopers just like you always do! www.kingsoopers.com and clicking on My Account. change your selected nonprofit at any time. We are hoping that your organization will assist you if you don’t have a computer. Otherwise, most libraries have public access to computers. • Select ‘Create an Account’. • Under Sign-In information, enter your email and create a password. • Select ‘Use Card Number’. • Enter your King Soopers Loyalty Card Number or Alt ID, last name and postal code. • Under ‘Select Your Preferred Store’ enter your postal code. • Choose your store then select ‘Create Account’. • You will then be prompted to check your email for a confirmation email. • Click the hyperlink in your email to finish creating your Online Account. • Continue to step #2 to register for the King Soopers Community Rewards Program of your choice. • Enter your email and password then select ‘sign in’. • Click on Community Rewards. • Under Find an Organization: Enter the organization name or the NPO number (You can get the NPO number from your organization) before clicking on search make sure the organizations description is selected (example: Education, Faith Based, Animal, Athletic) on the view by type area. • Then select Search Results. You should now see your organization information listed under ‘Community Rewards’ on your Account Summary page.